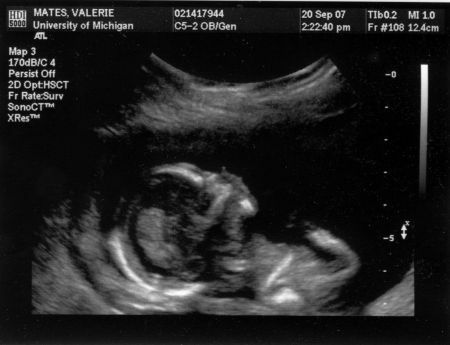 Here are two ultrasound pictures of our baby. 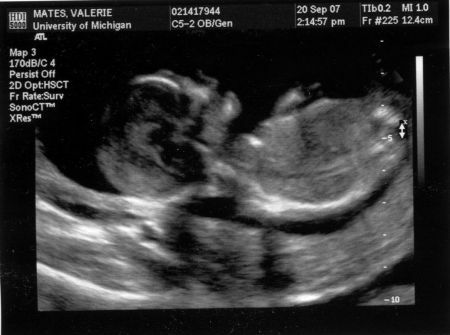 He is due on March 7, 2008. In both pictures he is lying on his back, facing up, with his body off to your right.